Great deal for Starbucks lovers! 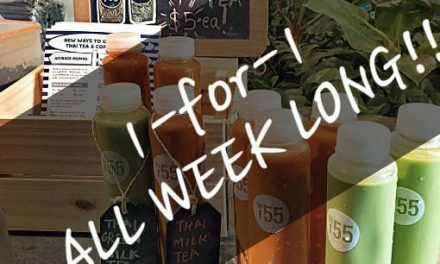 They are having a 1 for 1 beverage promotion next week from 28 – 31 Jan 2019. – Valid from 28-31 Jan (Mon-Thu), 3-7pm on any Venti-sized handcrafted beverage at all Starbucks Singapore stores. – Limited to 2 redemptions per transaction. Lower-priced drink (including customizations, if any) will be free. – Stars for Rewards Redemption cannot be used in conjunction with this offer. – Not valid with any other promotions or privileges. – Other terms and conditions apply.